Smartphone Experts has cranked out some really good cases for phones lately. The SPE cases are not only well made but offered at a competitive price. One of their newest products is the SmartPhone Experts Leather Hardcase for the Treo 750 ($29.95). 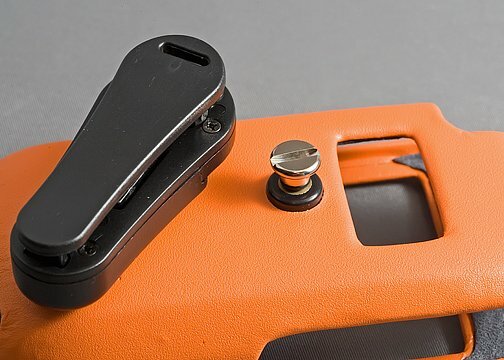 To see how the SPE Leather Hardcase measures up, read on! The SPE Leather Hardcase is a leather wrapped, hard shell, slip case. SPE offers the case in five colors; black, graphite, crimson, copper and arctic. It is designed to have the phone slip down into the case with cutouts to the side to expose buttons, memory card slots, along with a cut out for the charging/sync port and camera. 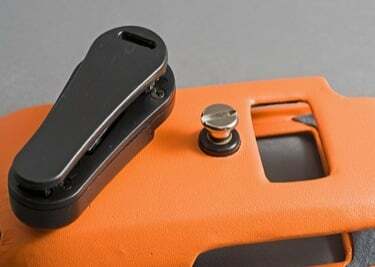 The case comes with a removable post (essentially a screw) that can be attached to a belt clip. 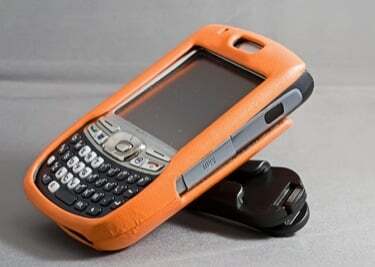 The case is designed for the Treo 750 but will accommodate other Treo models such as the 680. A leather skin is stretched and wrapped around a hard plastic shell. The stitching on the leather is done really well and I could not see any loose stitching or fraying. The interior of the hard case is lined with a soft, felt type lining. The hardcase fits snug and is cut really well for the Treo. It adds a little bulk to the phone but not enough to be an issue. Removing the phone is a little challenging but that just reassures me that the case is securely around the phone. It does offer a good bit of protection from bumps and scrapes. My only concern with construction is that the leather may be prone to scratches and with the lighter colors, the case tends to show dirt a little quicker than the darker leather cases. I like the fact that you can remove the belt clip post to make it more comfortable for pocket carry. Wearing the case on your belt is comfortable. The post sits securely in the belt clip but the clip swivels a little too loosely for my tastes. When carrying it on the belt it rides with the screen out, not an ideal way to carry the phone. 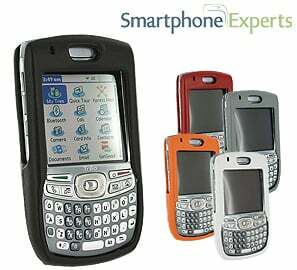 The SmartPhone Experts Leather Hardcase for the Treo 750 ($29.95) is a strong reflection of the quality found in SPE products. 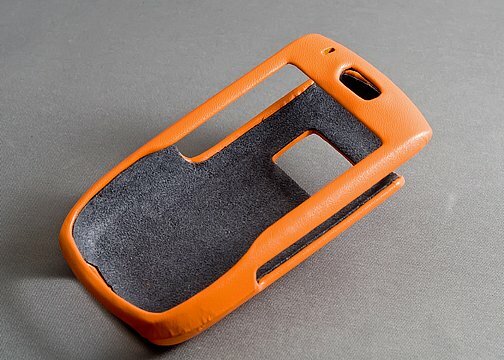 The phone fits securely in the case, enjoying a moderate level of protection. If belt carry isnt your style, you can remove the post and it makes for a good pocket carry case or protection for briefcase/purse/backpack carry. The only drawback is that for belt carry you have to be careful in that it rides with the screen exposed. If SPE developed a way to carry the phone screen inwards, it would dramatically improve this quality case. If you are looking for a simple carry solution for your Treo, the SPE Leather Hardcase deserves a strong look.